Sonos is appealing to jazz aficionados with a limited-edition Blue Note version of its Play:1 wireless speaker, but the window of opportunity to get one will be slim. 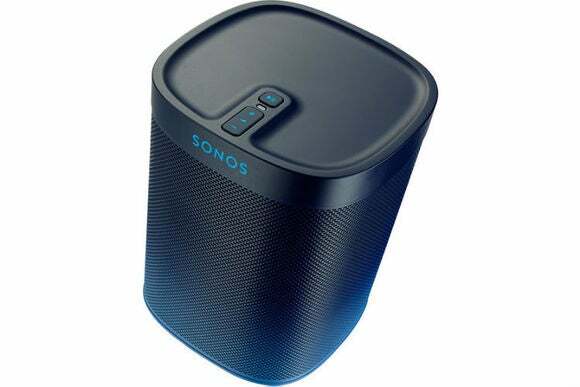 The Blue Note speaker will cost $250—that's a $50 premium over the regular Play:1 speaker—but Sonos will sell only 4000 of these models once they become available. Interested buyers can sign up for an alert when the speaker is about to go on sale. Why this matters: The handcrafted paint job won't make the Sonos Play:1 Blue Note Limited Edition sound any different than a less-expensive Play:1 with its utilitarian finish, but it will make your Sonos setup a little more distinctive.